Slipping on floors is one of the most common accidents, both at home and in the workplace. Rise above hazardous surfaces with Sure-Foot’s walnut heavy duty stair treads! 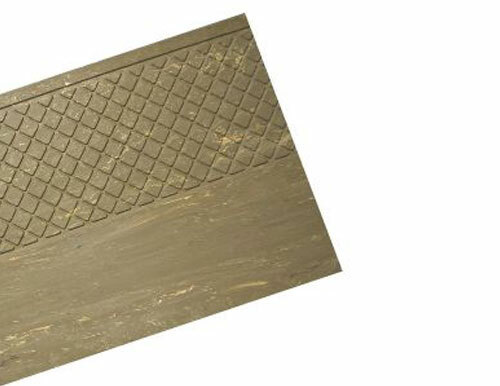 With a 6” deep diamond pattern, these rubber stair treads are the perfect anti-slip solution for with heavy pedestrian traffic or work areas that are prone to common fall hazards. As a leader in safety, Sure-Foot knows how important it is to protect your employees and customers from unnecessary falls. All of our stair treads exceed the ADA recommendations for slip resistance and are easy to install and maintain. We can help you prevent unnecessary slip and fall risks. Give us a call at (440) 234-4446 or request a product sample today!